The topic for today is quite interesting and once again I decided to come out and do the writing myself. As I have already told you that I am in love with car stereos and how they perform. I have seen many people asking and looking for best ways to, “How to Adjust Car Stereo for Best Sound“. Before starting this, let me tell you that the majority of the settings that we will discuss in this article will be for a double din car stereo. Single din stereos have almost the same settings but they do not come with LCD background. I always recommend using a double din car stereo as they are more user-friendly, you can check all the settings and features that come that stereo. With a double din there, you get all the major features that will help to adjust car stereo for best sound. Adjusting a Car Stereo for Best Sound will require you to know all the settings that come with that stereo. You will be tweaking amplifier settings along with bass settings. I recommend using level 3 for quality bass. If you really need to get the best out of your stereo, I recommend using an additional subwoofer and wire it properly with the car stereo. So, let us get into details now. Since you have bought a new car stereo and it is installed and fitted properly. Before you go for your dream vacations, you will need to adjust the car stereo for the best sound. Now, this may be surprising for a few, the way we will tweak all the setting in the car stereo but remember our target is getting the best possible sound. You cant simply rely on the standard settings, you can always adjust car stereo for best possible sound with the user-friendly interface. I have seen many fellows who are just fed up with their car stereo, even though they have the best brands and quality features. Checking stereo at different settings and adjustments will let you have a better listening experience. Only buying a quality car stereo does not guarantee the best sound also, you have to understand the importance of adjustments that can be easily made. Since I have already done all the research, you just have to follow this guide about, How to Adjust Car Stereo for Best Sound. The amount of time you will spend making adjustments will bring amazing and quality results. Remember not to rush, just follow this detailed guide for a better stereo experience. Now before I start, you must know that every car stereo system is different with a different set of features that make them unique in their own style. But the majority of features that relates to the sound are similar and again, I will be discussing a double din car stereo here in this guide. Since with the addition of more speakers will always enhance the quality of sound but we will just assume that we have basic 4 speakers in the car with a double din stereo. I strongly recommend that never try to play with your car stereo while you are driving, I have witnessed many crashes and the sole reason was that the driver was making adjustments to the stereo. Don’t play with your life, this guide about the adjustment of car stereo for the best sound is for people who are in their home and using computers. Make the points and then test them while you are at home. Before you start making adjustments to your car stereo, you must go through the instructions manual in detail. Normally every detail is mentioned in the manual and if you can’t find it there, we have covered all the details here. 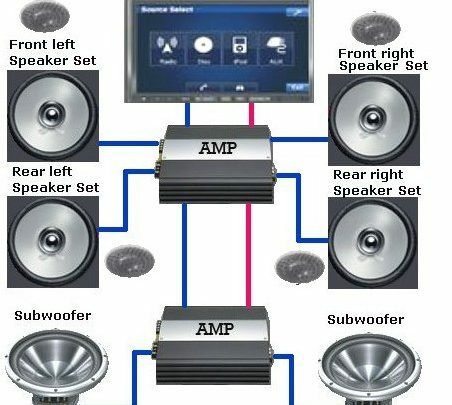 Read this guide about why you should a subwoofer in your car. Sound quality does not only depend on the car stereo, but other audio accessories like car subwoofers and amplifiers also play an important role. 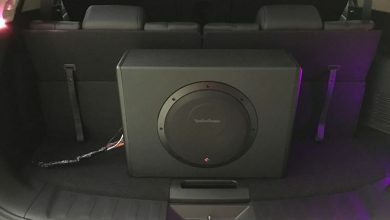 Also, it is not necessary to buy a largely sized car subwoofer, it depends on your stereo compatibility and size of your vehicle. Turn on your car stereo and play some nice music. I prefer playing, I smoke two joints in the morning. Now that’s my favorite track, I don’t know why? Do I smoke? Hell, Ya. So coming back to the topic, play music, access it for a couple of minutes. During that time start making notes, you will have a clear idea which feature is missing and which feature is aggressive. Normally people get confused between bass and treble. Now check the EQ, balance and different controls, they all should be in the middle of their settings initially. Now again start some music and that you must have listened to that many times, I suggest using your favorite track. You will notice all the flaws and again note them down on a paper. You will be focusing on different instruments that are used in the music, do they all come with a neat tone. All the highs and all the downs, here you will need all your attention. You should be ready to listen to that very track again and again. Before going into the details, you should check the quality of your present car stereo system. If you just bought the new car stereo system, good but if you have an old one, access the quality. If you are using a portable data drive for playing music and files at your car stereo system, never settle for low quality. Whenever you transfer data from one device to the other, it is compressed. Now the problem is that while compressing the files, quality is compromised. Whenever you plan to transfer music files from your laptop to a data drive, use minimum compression. This will ensure that quality is not compromised and you will always enjoy est sound. Keep your car stereo system up to date, if you are using any apps like Android Auto or Apple Carplay, keep them updated. Also, keep the car stereo software updated at regular intervals. You should keep the car stereo and other audio accessories dust free. This is one of the major cause of the compromised and low-quality sound. Keep it clean and updated. If you plan to use the AUX option then it is better to keep a port connected with the car stereo and you can connect your mobile or any device accordingly. I have seen many fellows who complain about the low-quality sound when connected with the AUX. The problem is if you repeatedly use Aux and every time, you plug in the port, this will damage the port. So the first step towards the best music is to adjust front and rear speakers. Now if you drive your own car, you can use any sort of settings, but if you have a driver and you sit at the back of your car, you will have more focus on rear speakers. With properly adjusted front and rear speakers, it is not possible to get quality sound even with the best car stereo. I have seen fellows who just focus on rear speakers and totally neglect the front speakers. I recommend using the front and rear speakers at equal powers. Check that both front and rear speakers are working properly. For this check every speaker individually by setting all the music to that very speaker and then check the quality of sound. Once you have both front and rear speakers functioning optimally, you are ready to go to the second step. You should also check that both right and left of front and rear speakers perform well, that the only way to have the best and quality sound from your car stereo. For checking, you will slowly have to shift from one speaker to the other, don’t rush into this. You should give at least 3-5 minutes to every speaker individually if you are really looking for results. I recommend that you should adjust all the speakers at the same level, this will bring synchronization in the music and all you will hear is a soothing wave of music, streaming into your ears. Read about if you want more bass out of your subwoofer. With a powerful subwoofer, you can have a better stereo experience. Now once you are done with the adjustment of the front and rear speakers, next important thing is to adjust treble. I suggest rear speakers should have a less percentage of treble than the front speakers. Since the front speakers come with a set tweeter, they will suit best with more treble. The rear speakers’ main function is to produce bass, so go with less level of treble for rear speakers. Although things may be different for every genre of music, for heavy metal, I recommend less treble even for the front speakers. But for Jazz and light music, adjust treble levels to the mid of high and low. This will also ensure that the vocals will generate from the front and you can understand them better at mid-level settings of the treble. You can always play with the treble settings and different car stereo feature a different peak level, although speakers quality also matters a lot in this case. Check both low and high notes are balanced with the adjustments that you have made in the stereo. Once you think that it should be the level, just mark it for the future. Learn here about properly mounting the subwoofer box in the trunk. Now that you are done with the treble feature, its time to adjust bass settings. Remember it is the bass that makes or breaks a stereo. I personally love to listen to heavy metal and that is all about bass. I always recommend using an additional subwoofer for powerful and neat bass. Neat bass is something that can shake you and your car. I remember once I had a ford couple of years back and a friend of mine, just put the sound level at the maximum that caused car windows to shatter into pieces. Here, I am not talking about that level of bass for your car stereo. I suggest using rear speakers for bass. Rear speakers should have a subwoofer, try to increase bass, stepwise. With every level you increase a bass, I suggest you listen to a whole track. Trust your ears, you may need to repeat the process again and again, but like the treble settings, this may take a while. Once you reach a level where there is distortion or breaking of bass, it means to level down. That will be the best level to fix bass for your car stereo. I have already an article about box sizes for subwoofers for deep bass. Without properly sized car subwoofer, you will never have a quality stereo experience. 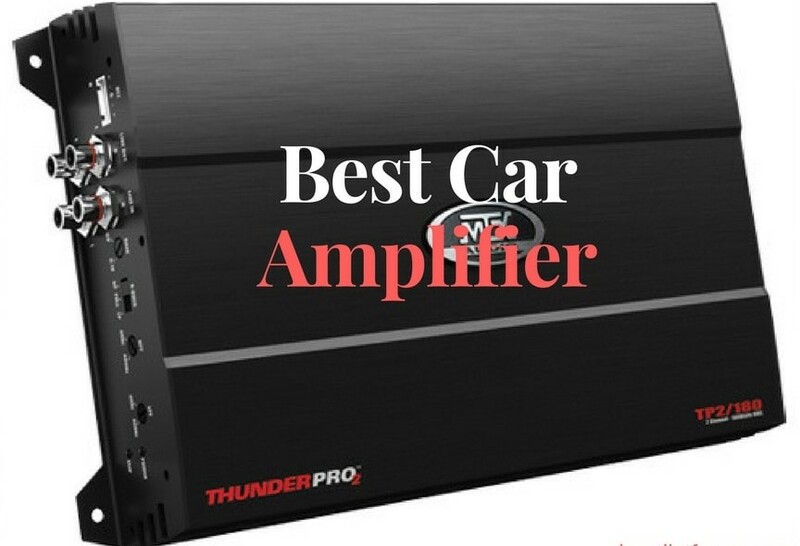 There is a variety of different car subwoofers, it is your choice to select which size subwoofer is best suited for you. Check the compatibility with the car stereo and enjoy neat and powerful bass. Removing distortion is essential if you are really looking for quality music. I suggest that you use a quality amplifier for that. Remember to buy quality products, you do not wanna end up throwing away bad quality. For that question, How to Adjust Car Stereo for Best Sound, just follow this guide. Read this guide on car door speakers. I have explained here, subwoofer size chart along with features and specifications of different car subwoofers. Remember to match the subwoofer and amplifier settings, you should also check the receiver for optimal settings. I always say to go and play with your car stereo. There is a variety of options that can be used, just remember to go for quality products. I am using a 10 inch subwoofer. I have all the necessary information that people are looking for and also, I have answered the hot question, “How to Adjust Car Stereo for Best Sound”. Follow all local and federal laws related to driving and music. You don’t want to have a complaint about noise or loud music. Check with your neighbors if you are playing high volume music at home. Once you are on the road then there is no need to worry. Feel free to contact me by using the comment section. I will be happy to answer all your questions related to car stereos and adjustment for a better and quality sound. You can also be part of our writing team, just send us your details.